Q. 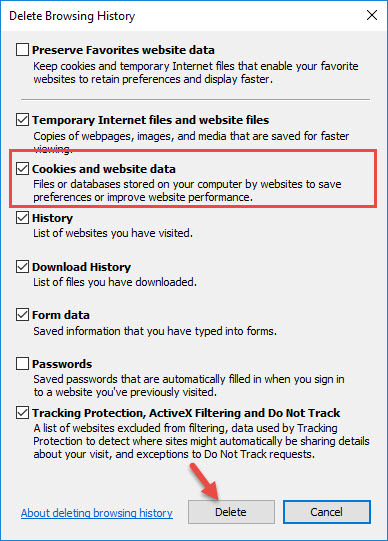 How do I clear cookies from my browser? How do I clear my browser history? I was told I needed to delete cookies - how? 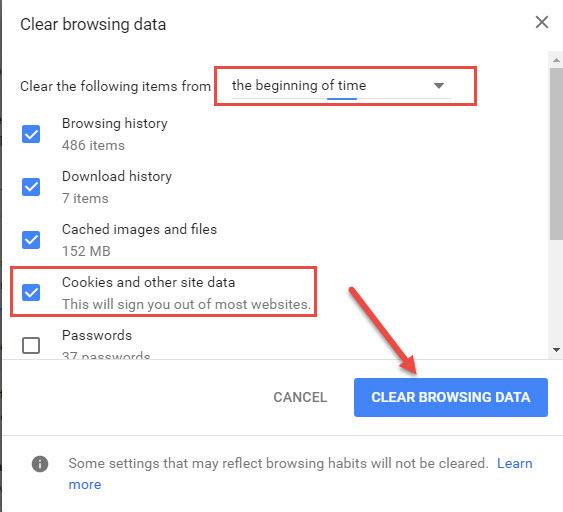 But sometimes you may need to delete cookies or your cache of saved webpages to solve a problem with your computer or a website. 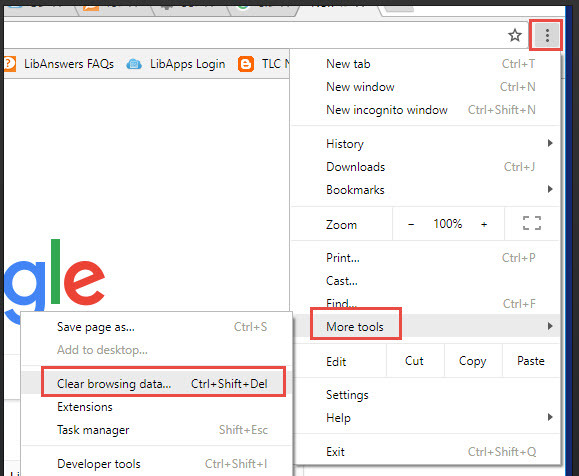 Generally you need to find Tools or Settings in your web browser to clear cookies. The steps are different depending on the browser, so there are instructions for a few below: Internet Explorer, Google Chrome, Microsoft Edge and Safari. Start by clicking on the Tools icon (small gear) in the upper-right corner of the screen. Then click on Internet Options. Towards the bottom of the General tab you will see Browsing history. Click on Delete... to go the next box, where you can check off what to delete. 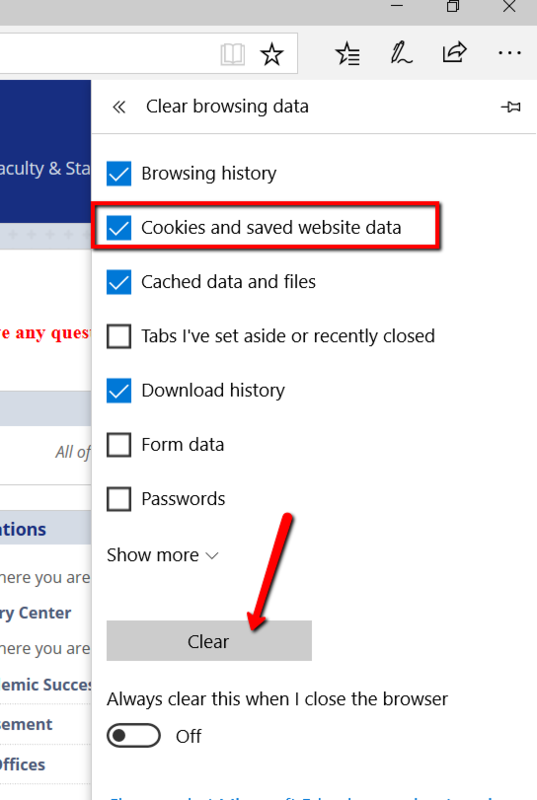 Check Cookies and website data and any other items you want cleared, then click on the Delete button. Then click on the blue Clear browsing data button. The default is to Clear the following items for the past hour, but usually you will need to do it much further back. 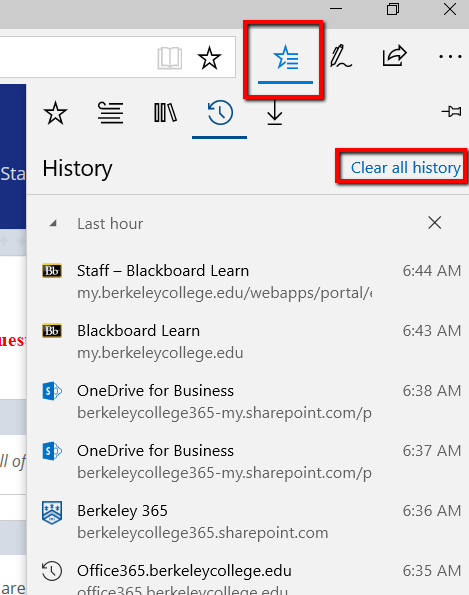 Then click the Clear all history link on the right. Then click on the Clear button. On an iPad or iPhone, you can make many changes to Safari from the Settings app on the home page. 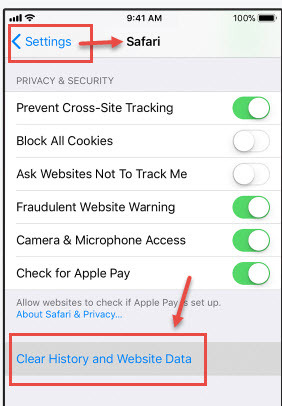 Tap Settings, scroll down to Safari and then choose Clear History and Website Data. 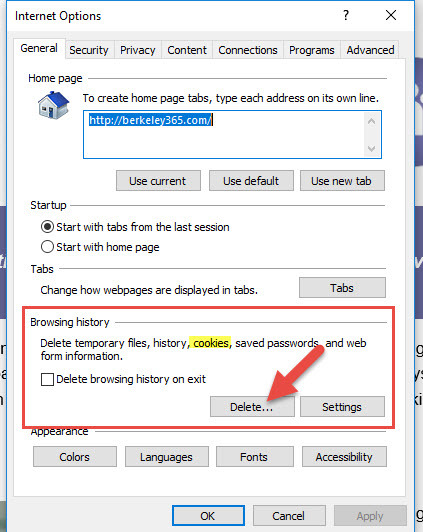 This deletes both cookies and your browsing history. For a MacBook or iMac choose History from the tool bar across the top of Safari, then Clear History and Website Data. Choose how far back from the Clear menu, then Clear History. If you completed the steps for your respective browser and you are still having an issue, you may need to exit your browser and re-open it for the changes to take effect.